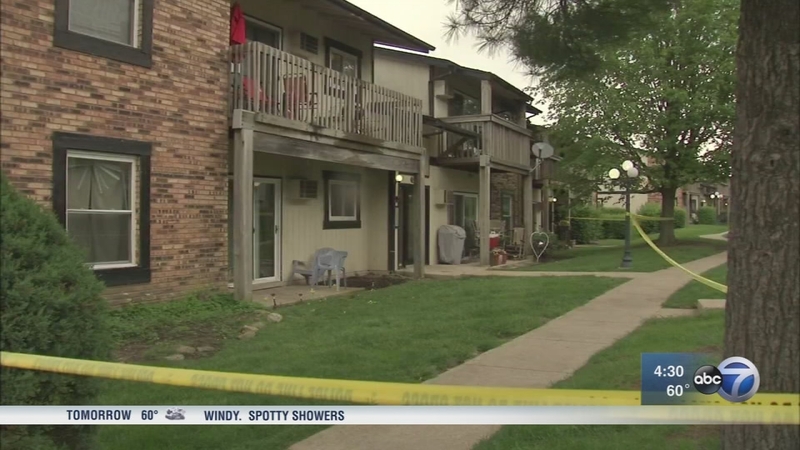 WOODRIDGE, Ill. (WLS) -- A man fatally shot his wife, who was seven-months pregnant, and wounded another woman before killing himself late Monday night in an apartment in southwest suburban Woodridge, police said. Investigators said the baby also died in the murder-suicide. They found Shedrick Pryor, 32, and April Pryor, 24, shot to death in the living room. A second woman, April Pryor's friend, was found in the back of the apartment with a non-fatal gunshot wound. She was rushed to a local trauma center, where she remains in critical condition. Investigators said the Pryors lived in the 600-block of Bellwood Avenue. April Pryor had moved into the apartment in Woodridge several days ago, following a domestic dispute. Shedrick Pryor allegedly showed up at the apartment Monday night with a handgun and forced his way inside. During a fight, police said he shot his wife and her friend before turning the gun on himself. "This tragedy is devastating for the two families involved - we hope they remain strong and united during this difficult time," Woodridge Police Chief Brian Cunningham said.